Working on your blog’s SEO, building up your social media presence and working hard on getting traffic to your posts are all quite important and you will have a hard time making it as a blogger if you don’t invest enough time working on all of those, but there is always one more thing that you need to focus on that can make or break your blog – your content. If you want to make an impact and you are hoping to start building an audience for your writing, your writing needs to be good enough and the topics you cover need to be interesting and full of insight. If you don’t give your readers engaging content, sooner or later enough other blogs will capture their attention for them to forget about yours. This is why you should only strive to write amazing content, but finding the inspiration to write something interesting and unique on regular basis gets really hard as time goes. That’s why at some point you will certainly have to start actively looking for inspiration to be able to produce high-quality content that keeps readers coming back. Where to get Amazing blog post ideas? Here are a few tried and tested methods to get amazing blog post ideas. Use these excellent tips to get amazing blog post ideas. If you try to make a list of the top ten blogs you enjoy reading and thing are good, I guarantee you that most of them will have a lot of personality to them and the writer will be writing in their own unique voice. All of them will be using their real identity and many of their posts will talk about their own personal experiences regardless of the topic of the blog. That’s why it’s paramount that you do the same. And when you start writing from personal experience as much as you can, you’ll find that finding inspiration would be much easier. When I draw ideas about blog posts from what is happing in my own life and work, it’s much easier for me to write because I actually have something to share and interestingly enough, the more personal the blog post, the higher the engagement on social media and in the comments section. So, if you are feeling uninspired, look at your own life and experience and start digging for interesting stories to share – it will make coming up with ideas easier and will make your content better. One of the best sources of ideas for topics to cover on your blog that would resonate with your audience is unsurprisingly your audience. Chances are you rarely tap into that readily available resource despite the fact that it can be extremely helpful when you are stuck for ideas. If you engage with your audience on regular basis, you will soon find out that a lot of the conversations you have with them are going to go into interesting directions that are well worth writing about. All you have to do is make sure you spark enough conversion and that you participate actively and you’ll be able to draw inspiration for amazing blog posts directly from your audience. As mentioned above, your personal life can be a great source of material for blog posts, but sometimes there isn’t enough happing and you have written about so many things from your past already. Well, if you really want to be a successful full-time blogger, why not switch it up for the sake of your blog. Feed your mind with new experiences and environments and it will start spewing out great ideas in bulk. It’s just a matter of how brave you are willing to be with it. You can just make a weekend trip to a place you’ve never been to, you could ask for new responsibilities at work or you could even pick up your life and move to Singapore to find POA tuition, so you can expand your skills in international accounting. The bigger the change you make, the more it is going to boost your writing and creativity. It doesn’t get more straight-forward than this. In order for you to be a good writer you need to devote some time to reading and the more you read the more you are going to learn how to write and the more ideas you will be able to generate. Read novels, read the news, read the blog posts written by your competition, it’s all going to give you food for thought and will result in more ideas and opinions to write about on your own blog. These were some of the best ways to find amazing blog post ideas. 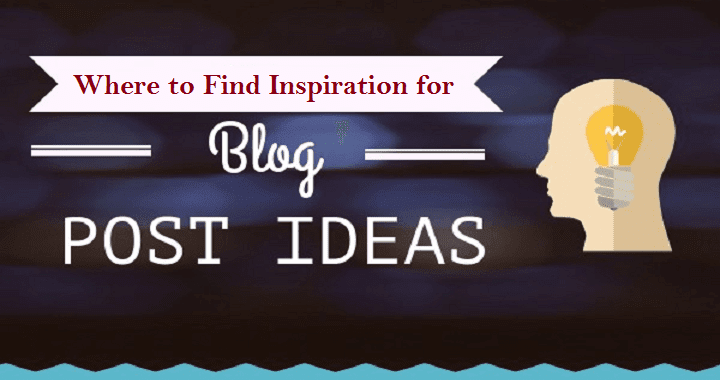 I hope you found Where to Find Inspiration for Really Amazing Blog Posts. 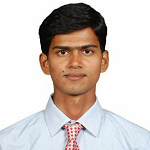 I will love to know the methods you use to find blog post ideas.